Jason M. Ruedy, also known as The Home Loan Arranger, was recently named the #1 Freedom Mortgage Loan Originator in the state of Colorado and the entire Nine-State Northwest region for 2014. To win this title, Mr. Ruedy surpassed more than 400 mortgage brokers in dollar volume and units sold. Denver Mortgage Broker Mr. Jason M. Ruedy, also known as The Home Loan Arranger, was recently named the #1 Freedom Mortgage Loan Originator in 2014. He surpassed more than 400 other mortgage brokers to win this title not only in his home state of Colorado, but also in the entire nine-state Northwest region. This is the third year in a row that Mr. Ruedy has been recognized by Freedom Mortgage. In 2012, Mr. Ruedy was named as the very top producing loan officer in Colorado, where he out-produced companies with multiple loan officers. In 2013, Mr. Ruedy posted a total volume of $27,887,663 and closed 175 loans and was named the #2 Freedom Mortgage Loan Officer in the state of Colorado. Mr. Ruedy believes several factors contributed to his success with Freedom Mortgage in 2014. First, he has extensive experience in the mortgage industry and is able to guide each of his clients through the loan process with efficiency. Second, Mr. Ruedy works diligently for each of his clients - always providing quick responses and guidance throughout the loan application process. Third, he is able to evaluate the situations of each of his individual clients and guide each borrower into an appropriate mortgage solution each and every time. "Jason always sets his goals high and he always strives to be Freedom Mortgage's number one loan originator. He has a dedication to hard work, he offers a superior client service experience to borrowers, and he has a passion to be the best. This all propelled him to the top of his peers in 2014." - Jim Becker, Account Executive, Freedom Mortgage. 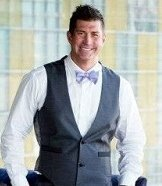 Mr. Jason M. Ruedy, also known as The Home Loan Arranger, has 20+ years of experience in the mortgage business. His company was built around the crucial principles of hard work, discipline, and determination. The Home Loan Arranger evaluates client applications quickly and efficiently and structures loans with the best possible terms. Mr. Ruedy is successful in achieving loan closings for clients while meeting their highest expectations. Jason M. Ruedy is ranked #2 in the state of Colorado by Scotsman Guide, which is the top leading resource for mortgage originators. Freedom Mortgage Corporation is a privately held, full-service residential mortgage lender that is licensed in all 50 states. Founded in 1990, the corporation is headquartered in Mount Laurel, NJ. Freedom Mortgage is an Equal Housing Lender/Equal Opportunity Employer, and the corporation maintains an A rating with the Better Business Bureau and is a member of the Mortgage Bankers Association.